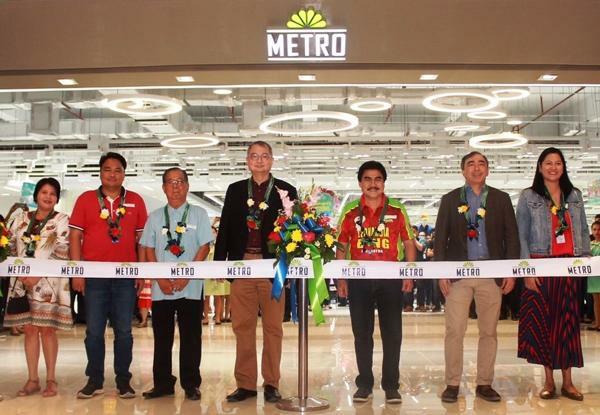 Continuing its expansion in the Visayas, Cebu retailer, Metro Retail Stores Group, Inc. (MRSGI) recently opened the Metro Supermarket and Department Store at Ayala Capitol Central in Bacolod City. In photo from left: Brgy. Captain Joana Magalona, Bacolod Congressman Greg Gasataya, Negros Occidental Governor Alfredo Marañon, MRSGI Chairman and CEO Frank Gaisano, Bacolod City Mayor Evelio Leonardia, MRSGI President and COO Manuel Alberto, and Ayala Malls General Manager, Sharon Ciocon. Metro Ayala Capitol Supermarket and Department Store, MRSGI’s 54th store, strengthens its presence in the region and underscores its commitment to grow through operational excellence and quality customer service. The opening was supported by Bacolod City local government led by City Mayor Evelio Leonardia, Congressman Greg Gasataya, and Negros Occidental Governor Alfredo G. Marañon who all welcomed MRSGI and acknowledged that the retailer’s presence in the region will contribute to the region’s business growth and employment opportunities. Serving Filipino consumers for 37 years now, MRSGI has built a wide store network in Central and South Luzon, as well as in Central, Western and Eastern Visayas. Currently, it operates three store formats – department store, supermarket, and hypermarket.